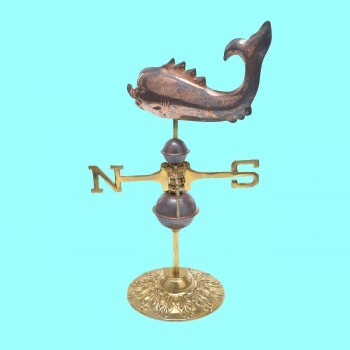 Weathervane. 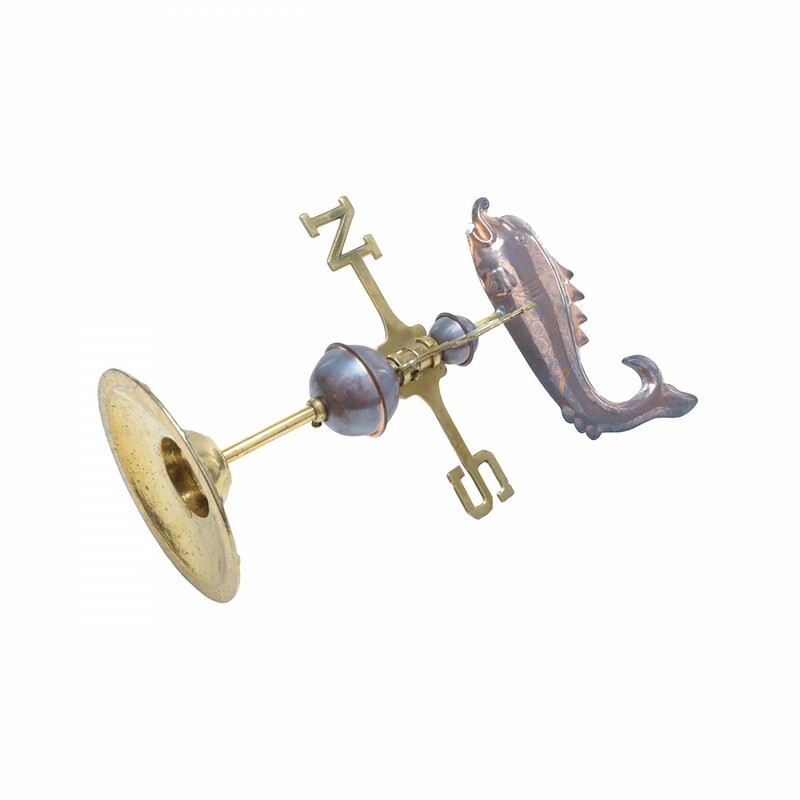 Whale Weathervane on Desktop Stand for desk, mantle or tabletop with a solid brass stand. Handcrafted of 100% copper our weathervanes are full-bodied figures of superior quality unlike machine stamped ones that are made from lesser quality copper sheets. Polished copper gradually oxidizes turning a rich brown after a month & then gradually weathers to a luxurious green verdigris within 5 to 10 years. 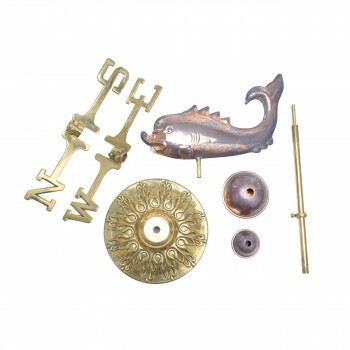 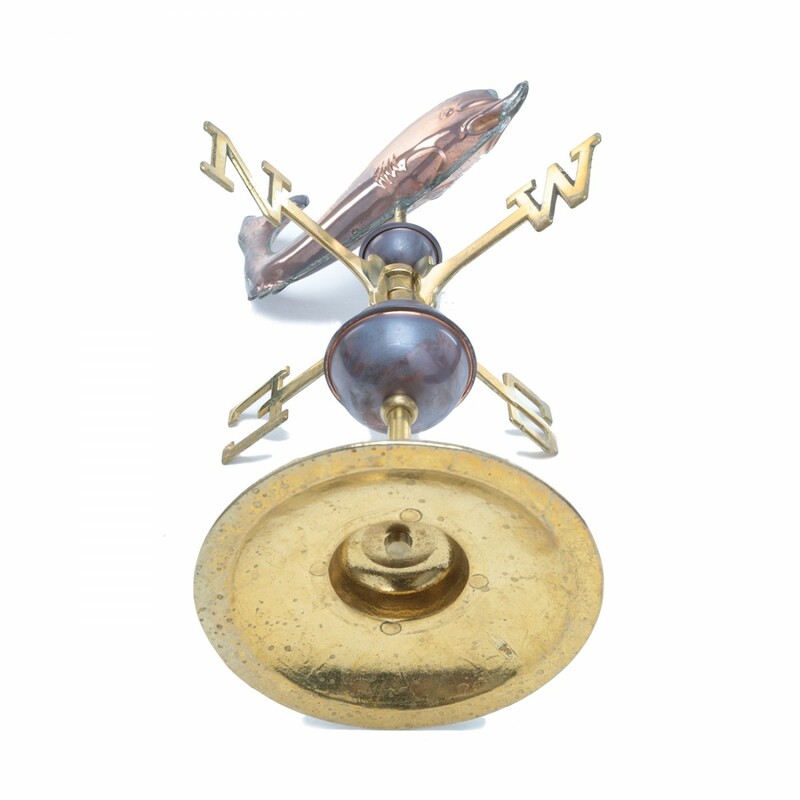 Includes brass stand, globe spacers & brass cardinal points (N, S, E, W). 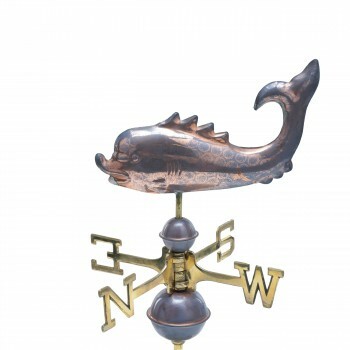 Overall height 13 in.